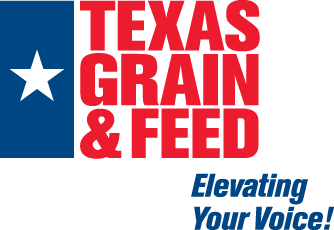 As a member of Texas Grain & Feed Association, you get the news first on the changing regulatory arena because TGFA is there for you! TGFA is the representative voice for the grain and feed industry in the Texas legislature and our congressional delegation. We serve an important role in giving guidance to state and federal regulatory agencies on issues impacting your business. TGFA is a member of National Grain & Feed Association and American Feed Industry Association. We also have close contact with our counterparts across the country. In a collaborative effort, we are also members of the Texas Ag Council, made up over 50 ag organizations across the state. The Ag Council gives TGFA a forum in which to have a more effective voice in Austin. Who are my State and Federal elected officials? The weekly e-newsletter keeps you informed of timely subjects that matter to you at state and federal levels. TGFA’s directory gives you an easy way to connect with other businesses that maintain the same business practices as you. The directory is printed and distributed yearly as well as always up-to-date online. TGFA hosts educational programs when it matters most to your business. Not only do we host free regional dinners throughout the year but as we did 120 years ago, our members gather annually for the TGFA Annual Meeting & Expo. Held in April each year, the conference attracts top decision makers in the state and provides you fantastic networking opportunities! TGFA’s oldest member benefit is arbitration. When disputes happen between members, TGFA arbitration procedures can save your company the expense and timely proceedings of the traditional judicial system. TGFA’s arbitration takes just a few months and costs are minimal. TGFA also provides Trade Rules that are used by the industry to govern all trades involving grain, hay, commercial feed, mill products or seed. Need Health Insurance Options? AgBenefits Can Help! TGFA works alongside AgBenefits (formally Texas Agricultural Cooperative Trust) to aid in providing group life and health benefits to members in the agricultural industry. Designed by ag employers, the program responds to the needs and interests specific to employers and their employees by banding together to give a greater presence and more purchasing power. www.youragbenefits.com Contact Marcelo Aguilar at (806) 731-4740 or [email protected]. AgriComp is a workers’ compensation safety group offered through Texas Mutual Insurance Company. Initially AgriComp safety group was only available to Texas Grain and Feed Association members. In 2010, TGFA formed Lone Star Agribusiness Association to open up the safety group to organizations involved in agriculture outside of the grain and feed industry. The Texas Department of Insurance allows the creation of a safety group for homogeneous types of businesses supported by an association. There are a number of safety groups in Texas from construction businesses to apartment managers. AgriComp is a safety group created for the agriculture industry available to members of either the Texas Grain and Feed Association or the Lone Star Agribusiness Association. The State provides a premium discount, reducing the premium every year at policy inception. At a premium of $5,000, an insured receives no premium discount. As the premium increases, so does the premium discount percentage. As a member of AgriComp, you enjoy the premium discount percentage based on the total premium of all combined members of the AgriComp safety group instead of to the smaller percentage based on your individual premium. Annual dividends are based on the loss history of AgriComp. Dividends are never guaranteed but members have enjoyed significant returns over the past ten years. TGFA members in the above classification codes are eligible to join the AgriComp Safety Group. Please contact Texas Mutual Insurance Company at (800) 859-5995 or www.texasmutual.com or your local insurance agent to join the program.